Can you afford not to invest in a CRM? Customer Relationship Management (CRM) systems enable businesses to customize and individualize their relationships with their customers. Great CRMs give businesses the ability to analyze their customer’s purchasing behavior, create targeted and individualized marketing campaigns, increase customer retention and sales. CRM systems give businesses a centralized customer database, which enable businesses to create stronger communication channels with their customers. It empowers businesses to increase their response rate, gives sales staff access to customer history, work remotely and prioritize customer profiles with ease. 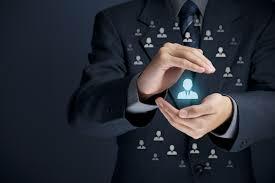 Personalized marketing communication, simplification of sales cycles, enabling staff to work remotely, aligning multiple business processes, integration with accounting and workflow automation save organizations resources with managing customer relationships. CRM systems give businesses the ability to simplify their work, connect better, work faster and save resources. Growing businesses that value cultivating positive relationships with their customers cannot afford to miss out on investing in a CRM.